Hi guys, this is the road trip I’ve been banging on about. I’ve finally got around to making actual plans. We are doing this on the 14th,15th & 16th of May, 2014. Yes I know its only November but if you’re like me, you’ll need time to save/prepare for this. This is open to anyone who wishes to come, the more the merrier. All riders, seasoned & novice. 300 miles, 8hrs. this includes estimates for stops, food, fuel, cigs etc etc. May take longer. 200 miles, 6hrs. This doesn’t include stops or “let’s do that bit again!”. Estimate 9hrs. Day 3: Fort William to my house. Taking in Oban, Loch Lomond & the coastal road through Greenock. 300 miles, 8hrs. Including stops etc. All in around 800 miles. All times are estimates but be prepared to spend 8-10 hrs a day on the bike. Plenty of stops to stretch, eat, smoke, pictures etc. Like I said it’s a road trip & there will be a lot of places that I’ve never seen so I want to enjoy it. It’s a group ride so the pace will be one which I feel is comfortable for all. Faster riders can go to the front if you know where to go, but I won’t leave anyone miles behind. We leave as a group, ride as a group & return as a group, its about enjoying the journey, not the speed. I’m hoping to have radios & headsets for this, if you have your own then great, it’s nice to have a bit of banter on something like this. Here’s a breakdown of costs. Travelodge - £75 total or £37.50 to share with someone. I’ve priced everything on the high end of the scale just in case. Other things you’ll need include: a rain suit or waterproofs, it’s Scotland, IT WILL RAIN SOMEWHERE! Breakdown cover that covers you NATIONALLY, for example MCE’s “free” breakdown cover only covers you up to 10 miles from your house, so check. Puncture repair kit or that tyre foam stuff, better to be safe than sorry. I'm def in bro talked the wife into it to so I'm 2up on the big one told the good lady the route she now's the roads she reckons it'll be awesome. Can't wait will be epic. Only prob now is I'll have to buy 2 sets of leathers bummer hears hoping I get a tax rebate lol. Plenty of notice so mark me down as in, i shall make arrangements tomorrow so that i have the time off work..
Yeah, rain or heavy rain lol. Will try my absolute best mate. Buzzin for this man canny wait. Need to push hard n get passed and get in some distance practice lol. let me know when you want to order it, better deals online. charger is ordered btw. we'll all need some endurance rides before this, a few laps round the leadhills/dumfries/newton stewart should do the trick. no more interest from anyone else? Asked John from frew he migh come along and Robbie MaCload is also a possible. And fyi boots are completely water proof, was caught in monsoon on the mod1practice and on the way back from the pad feet bone dry. I never thought of them, are they interested? Looks like a good run. Me and a couple of friends did a similar run this summer; Falkirk to Skye via Callander, Tyndrum, Fort William, Eilean Donan on day 1. 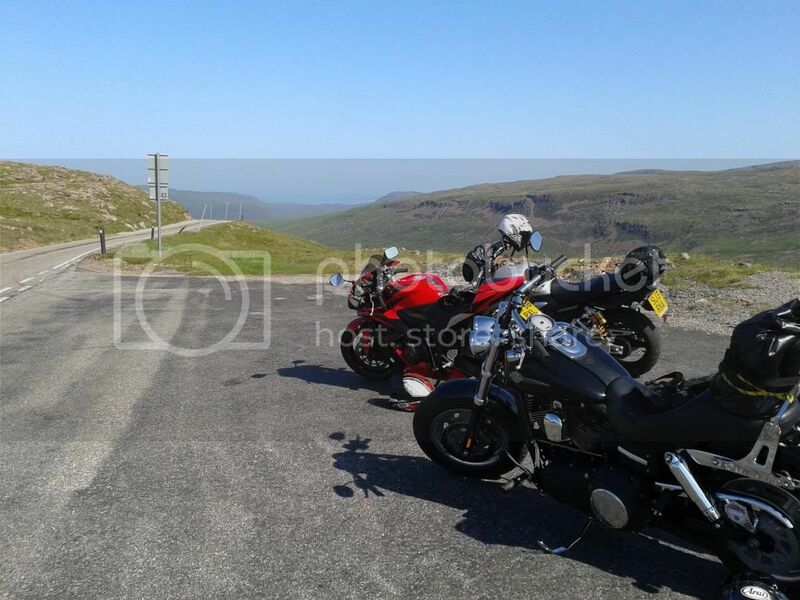 Skye to Tongue via Ullapool on day 2. 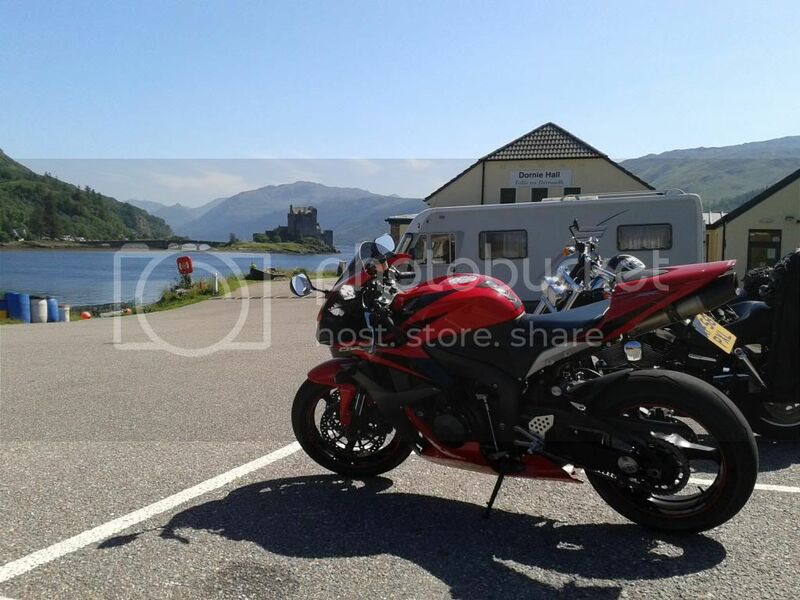 Then Tongue back to Falkirk via Inverness, Loch Ness, Fort William on day 3. Absolutely brilliant roads. 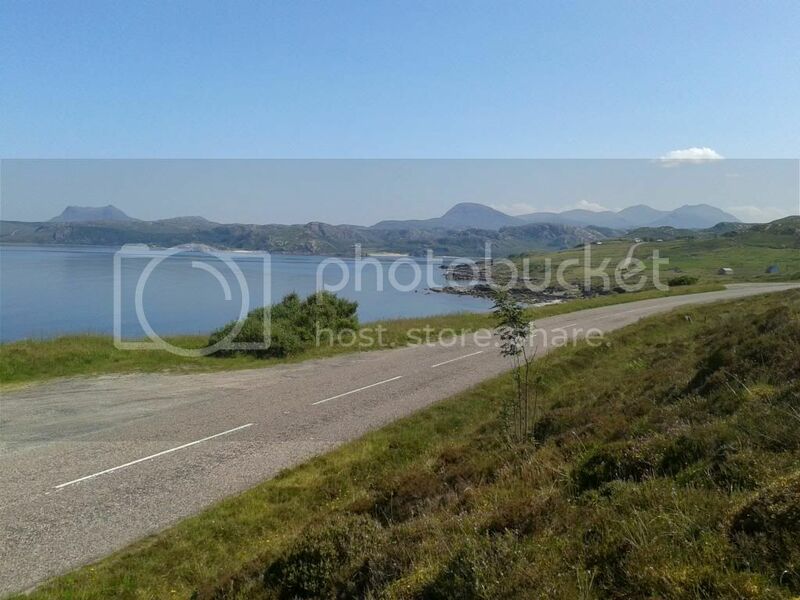 Scotland really does have some of the best roads and scenery in the world if you get nice weather, luckily we did our run on the weekend where it was 25 degrees every day. We're doing it again next year, but going up the East side and hitting John o' Groats. This road trip looks epic. Seriously tempted to put the bike on the road one last time for this (or at least the North stretches). The stretch from Loch Leven to Ft William is an absolute belter, as is the Braemar/Ballater/Banchory road (lots of Police there though). The Loch Laggan road (A86) is worth a try too. Lots of open, sweeping corners. May should be ok though…fingers crossed! Do it!! It won't take long to switch it back to a road bike. The A86 was considered but I heard/ read that police/caravans/driving miss daisy presence was high on it. So we went with the tighter/quieter road. Time will tell I suppose. 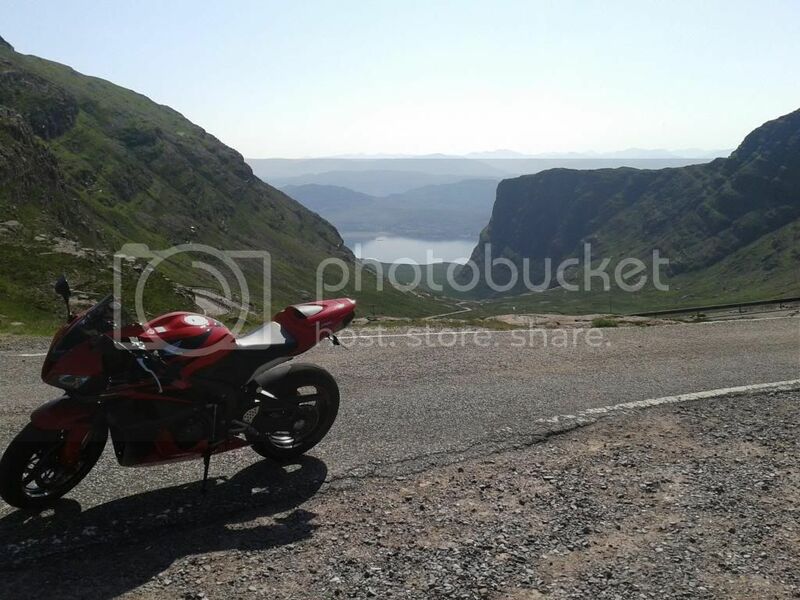 It was because of the applecross pics you posted a while back that I even put it into the route, it looks amazing, but it will certainly be a "take it easy, look at the view" type of road, I've seen the vids, no being a hero on that road lol. We could meet you somewhere, we will be meeting people enroute anyway, I have friends in Glasgow and Aberdeen. My fuel estimate for 1260 miles(includes getting to you and back) is £249.99, I only use vpower so it does cost a bit more(not that much long term though! bike runs smooth! )...not bad though for 1260miles on a 600rr! That's with average mpg including 0-60's in 2 seconds from lights over 6785miles on an 08 600RR. 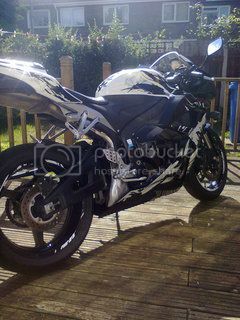 So considering I want a fireblade that's probably conservative haha. Average probably £520+ total cost to me due to being 200+ miles from you, on my crap wage that's a tall order. I'm still arguing with my own insurers over my bikes value, salvage etc, I want to keep the bike so salvage gets taken off what I get, meaning I get the difference between salvage and value but what's left on their engineers estimates doesn't even cover getting Honda to repair it(if that's what I do) so I told them to shove it. We're at a stale mate now. Gutted though I'd have loved this I never do these types of journeys, well maybe once or twice but never multiple days like this, usually one day and at pace. If only I won that £80mil on the lotto tomorrow, I could pay for the whole trip for everyone! Last edited by brmoore; 11-14-2013 at 08:51 AM. ^^ so you can't make it? If I made my way up and then back down that would be enough of a road trip for me coming up from London. Fingers crossed it goes to plan and the weather holds out. Talkin to an Auld boy yesterday he showed me pics of Apple cross and sky bridge they did it last year I'm wishing my life away lol can't wait for this gona be awesome. God's Country. Funny the conversation tempo changed the second I told him I had a bike brotherhood. And the wave and nod should come back noticed most bikers have stopped this come on guys back in the day on my 125 with the L plates always got a nod bring it back. Patience of a saint lol. Talkin to an Auld boy yesterday he showed me pics of Apple cross and sky bridge they did it last year I'm wishing my life away lol can't wait for this gona be awesome. God's Country. It's NW200 week although this is very good looking alternative.